The University of New Brunswick has recycled more than 50,000 pounds of electronic waste over the past three years, the equivalent weight of three elephants, according to the 2015-16 UNB Green Review. 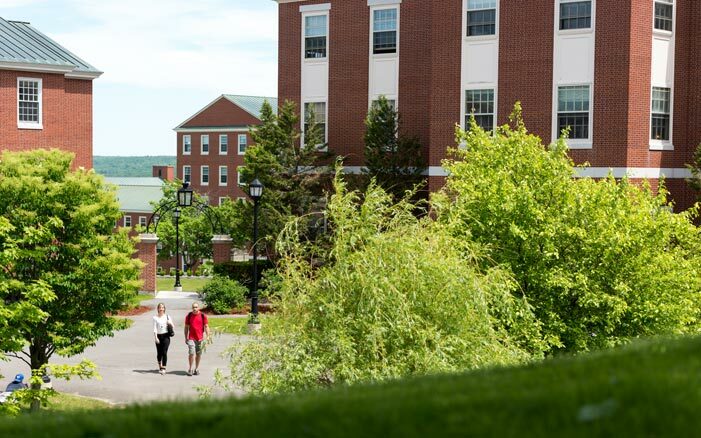 This annual report, published by UNB Sustainability, highlights sustainable initiatives happening at the university, green champions on campus and suggestions on how to live more sustainably. Mrs. Smith said UNB has made significant progress with sustainability in recent years. Through the Sustainability Program, the university has installed free food planters, conducted building and waste audits of various UNB buildings, and collected data for a sustainability tracking, assessment and rating system. UNB Saint John is also home to one of the most energy-efficient buildings in the province, added Mrs. Smith. The Hans W. Klohn Commons building is gold-certified through the Leadership in Energy and Environmental Design (LEED) program. It is also the only university building in New Brunswick with a LEED certification. LEED is an industry building rating system that is recognized as the international mark of excellence for green buildings in more than 130 countries. UNB Sustainability is also developing one of the region’s first university climate change action plans. Consultations for the plan took place on both campuses throughout November and March. It is expected that the plan will be ready by 2019. This is the second edition of the UNB Green Review and the only university publication of its kind in Atlantic Canada. The 2015-16 edition is available from UNB Sustainability.